This all-natural, total body cleanser moisturizes with Shea Butter, Olive Oil and avocado extract, while the crisp Green Tea scent awakes the senses. Olive Oil has been used for centuries in cosmetic treatments for body and hair. 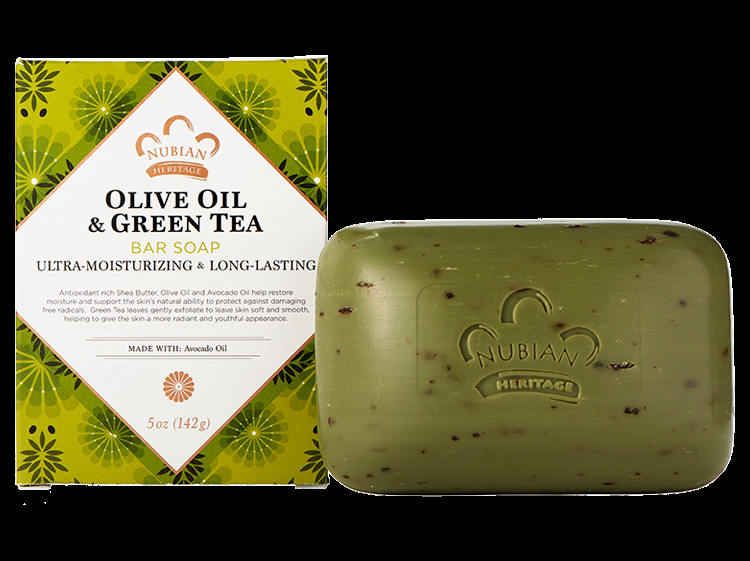 The softening, regenerative and antioxidant benefits of Olive Oil have been blended with Shea Butter and vitamin rich Green Tea to create a soap that deeply moisturizes and nourishes the skin. Shea Butter and Olive Oil regulate moisture and soften skin while the anti-aging and antioxidant properties of Green Tea help protect the skin from dehydration, free radical damage, environment exposure and premature aging.